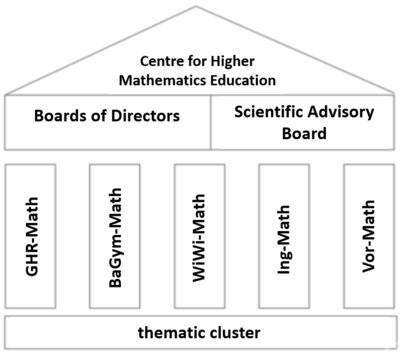 The scientific work of khdm is organized into five education-level working groups, which take into account the various level-specific requirements for mathematical content, methods, and goals. 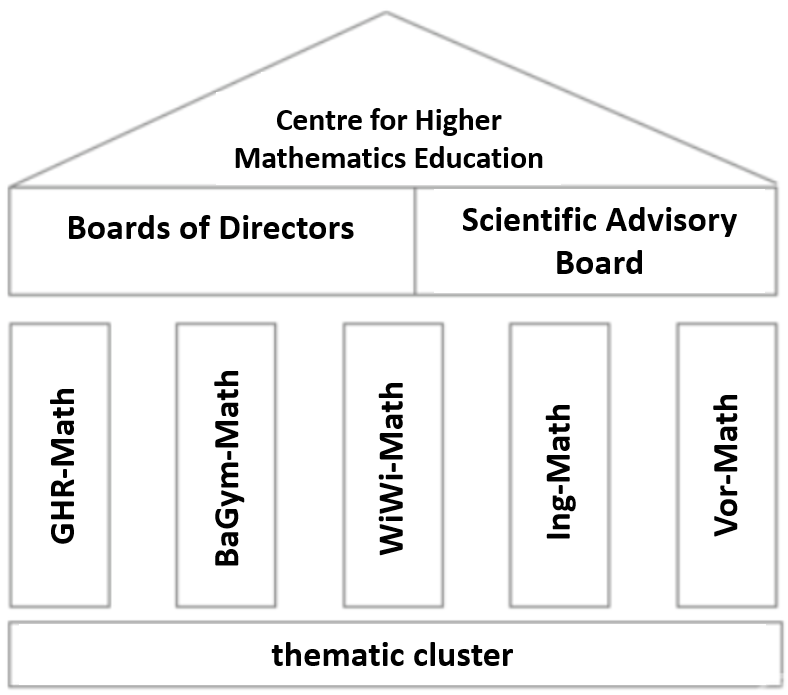 An interdisciplinary exchange is accomplished by four thematic clusters. The Board, where all groups and participating universities are represented, provides management and oversight of khdm. The Board elects from among its members an Executive Board, which executes Board decisions and makes operational decisions in regards to the management of khdm. An international scientific advisory board advises khdm.